The Adriatic condo complex on Marco Island Florida, located on 835 W. Elkcam, is a beautifully designed Gulf Coast condo with a tropical flair. 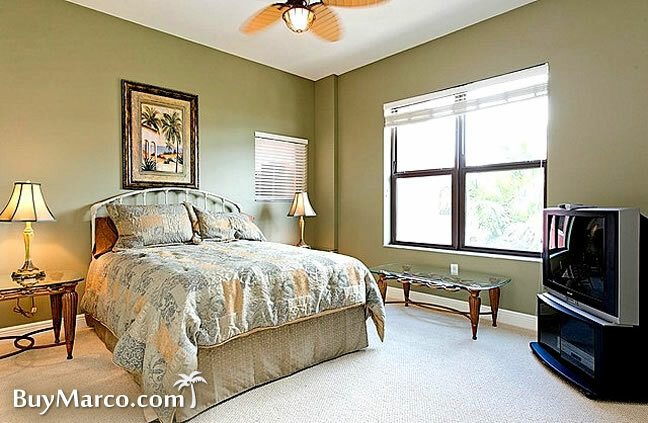 Built in 1985, this Marco Island property in this exclusive neighborhood has 2 buildings with 2 floors and 17 units each, and gives you a stunning view of the coast and the most spectacular sunset. Located in the Smokehouse Bay area of Marco Island, the Adriatic condo is located perfectly to take advantage of Town Center Mall, Esplanade Shops and restaurants, grocery stores and banks. Quick beach access is at Residents' Beach or Tigertail Beach. Maintenance fees in Adriatic run about $457 per month. Perhaps slightly higher than average for condos in the same price range, the condo fee is always taken into account by the market. For that matter, any characteristic, be it a good view, a noisy street or covered parking, are all bearing on the price. For that reason, we suggest you look at all the features of a condo and weigh them accordingly, before you make a decision. Certainly, some of the best deals on the island exist because of a perceived negative. Pets are allowed at Adriatic. The limit is one pet, up to 12 lbs. As is the case with most Marco Island condos, the minimum rental period in Adriatic is 30 days. Owners looking for some income out of their investment will be able to easily pursue high, in-season, rates from January through April. Annual rentals are another good option here. With a 30 day minimum, off-season rentals are hard to come by. Most off-season vacationers can only stay for a week ot two. There is only one, two-bedroom floor plan in Adriatic. Designed to take in the lush landscaping or maybe the pool, Adriatic condos make great second homes or primary homes as well. Click here to see all Adriatic floor plans. Famous restaurants are also extremely accessible from the Adriatic. If you want to grab something to eat, you don’t have to drive for miles because great Seafood and Italian restaurants, as well as Big Al's, The Sand Bar or Porky’s, are just across the street. If you want something fancy or if you’re meeting someone, you can go to the upscale Esplanade which is less than a mile away and from there you can go window shopping, enjoy the view of the marina, or get coffee from Starbucks. This spacious Gulf Coast condo, with units that each measure 1,020 sq. ft. can comfortably sleep 6 people. It also has internet access, but if you’re more of an outdoor kind of person, you can rent bicycles and mopeds which are all within walking distance.